Group Discussion Ideas > Current Affairs GD Topics > How can banks prevent Nirav Modi-Like scams? Two employees of Punjab National Bank, the second largest public sector bank of India, tie up with Nirav Modi and issued LOUs(Letter of Undertaking) to overseas banks through SWIFT(Society for Worldwide Interbank Financial Telecommunication), without noting this in bank ledgers. This fraud started taking place since 2011. 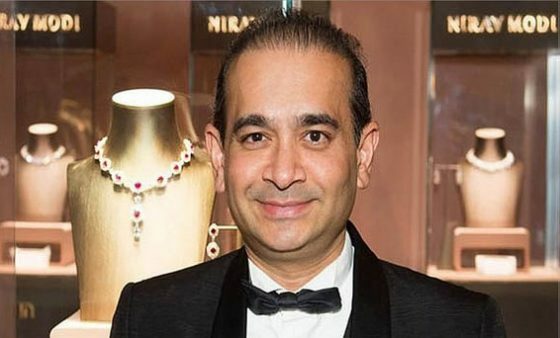 Through these fake LOUs, several companies that are related to Nirav Modi were granted buyer’s credit from the HongKong branches of Indian banks including SBI, Axis bank, Union Bank of India. After recognizing this scam, several similar scams are coming out. Rotomac, Kanishk and Totem infrastructure Ltd are now under scanner. SWIFT is not integrated with core banking in many banks yet. This was the reason, fake LOUs weren’t found out till recently. As per rules, bank officers should be transferred for every three years. But this is not being followed. Nirav Modi fraud wasn’t found out in internal audits as well as external audits. This is revealing the efficiency of audits. Qulaity of internal audits and of Audit companies should be improved. Reserve Bank of India (RBI) too couldn’t recognize the scam. The present RBI governer Urjit Patel said that it was because RBI needs more regulating authorities to trace these kind of scams, and he suggested that ‘Banking Regulation Act’ needs to be reformed. Both RBI and Government has control over banks. Experts opine that this dual control is causing many confusions and scams. ‘Banks Board Bureau (BBB)‘, an autonomous body of Union Government of India, which was started in 2016 was initially setup for two years to improve the governance of Public sector Banks (PSBs). If it is revamped, it will surely improve the effeiciency of PSBs. As government has privileges such as control over banks, it should also take responsibility of supervision and monitoring, which is not happening right now. Government, RBI and Banks are all equally responsible for these kind of frauds. And instead of blaming one another, loopholes at every point should be taken care of. Several layers of checks and balances should be built to prevent Nirav Modi-Like scams. Afterwords :- What is your opinion on this topic? Express your views in the comment section below. Subscribe to our blog to get new topics delivered to your email. cases like nirav modi scams affects the country’s economy very badly.It harms the reputation of the banks.So,the stricct norms are need to be taken to avoid these kinds of cases.There is a need to reform the banking regulation act,there is a need to check the loopholes in auditing process,more transperency should be encouraged.strict action should be taken against the employees who are involved in such kind of scams. Nirav modi like scams occur due to lack of transparency, accountability, reliability and stringent laws implementation. Inclusion of staff members signify the fact that these scams are not only because of the defaulter but also due to the bank. Internal and external audits failure to identify such a long dated scam definitely requires banks to be more vigilant and regulations in B R ACT to be more stiff. Basel 3 norms should be followed by heart. proper job rotation and more presence of Independent auditors is needed to control governance. this Crony capitalisation has cost us 14000cr. which is nearly 3 times the fund proposed in budget for livelihood development in India. such scams that too in PSB can make the economy cripple as india is a bank-led economy. psb banks failure means bailout by the government with taxpayers money. thus stringent laws by various means and speedy recovery should be used as tools to identify the scams at an early stage .also whistle blowers could be given awards and also protection for their alertness and safety respectively. Please notify me whenever new gd topics will come..
Scams like this harm the economy as well as banking industry.Scams like this are not possible without involvement of a banking professional.banks employees should be committed towards bank and not get involved in such scams as they defames the bank and break the customers trust.this will leads the bank towards losses and increase NPAs. Banks should tightened the rules and erodes all the loopholes from the system to prevent act like this in future. Such types of scams can break the economical backbone of the country and also showing the loopholes in the banking regulations.such loopholes should be identified and there is an urgent need of restructuring the guidelines prescribed by Rbi and banking regulations act . Well, Just saying again & again that this all is a fault of gov., RBI & banks doesn’t make sense because if we say banks or gov don’t do anything this is also not the case either, they time to time do audits checks suspect cases & all. But yes since this had happened which definitely gonna affect Indian economy, but now banks & gov. have formed various committee & regulatory to deal with these kinds of things, Banks have tightened the norms now. Well, at last but not least we can’t stop something from getting happened but we can prevent it from getting happened in future. necessary mechanisms in order to prevent such frauds and scams in future. scam of this kind is very unfortunate for banking sector.PNB is one of the most reputed and trusted bank and has a large number of customer base,when such scams related to banks come in news it not only defames the bank but also erodes the trust of general public.RBI,Government and Banks should work in synergy inorder to prevent such scams in future and ensure that wilful defaulters like nirav modi are not able to flee the country,also proper recovery mechanism should be executed to get back the NPA amount afterall it is the hard earned money of taxpayers therefore strict action and stringent laws should be made so that such cases do not occur in future. scams like nirav modi are silent killer for psbs.In order to combat these kind of frauds in banks internal risk management system should be developed and well equipped. needed for lending loans and amenities to any business groups and organization.